Praised by the Dallas Morning News for his “appealingly rich baritone” and “sensitive singing”, Aaron Harp is building a reputation around the nation as a stylistic performer of early music. Recent solo engagements include performances of J.S. Bach's St. Matthew Passion, St. John Passion, Mass in B minor, and Christmas Oratorio, Handel’s Messiah, and Mozart’s Requiem. He has performed with many noted ensembles, including Santa Fe Desert Chorale, The Thirteen, Orpheus Chamber Singers, Bach Society Houston, and Dallas Bach Society. He has been featured in performances at the Bachfest Leipzig, Boston Early Music Festival, Berkeley Early Music Festival, and American Bach Soloists Festival. 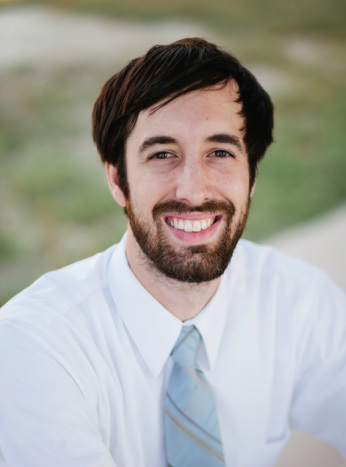 Aaron spent the last five years directing choirs at the secondary level and recently relocated to Colorado to pursue a doctorate in choral conducting at the University of Colorado Boulder. He graduated with a Master of Music degree in vocal performance and choral conducting from the University of North Texas where he studied with Jennifer Lane and Stephen Morscheck and performed extensively with the university's ensembles. He received his Bachelor of Music degree from Ouachita Baptist University in vocal performance.